My name is Mélissa Khalifé, I’m 30 years old and currently living in the city of Ottawa, Canada. Approximately three and a half years ago, I was diagnosed with a brain tumor, which was located between the cerebellum and spinal cord. The tumor was blocking a little of the fluid that’s surrounding the brain. It was growing and putting pressure on other vital parts of my brain. It needed to be surgically removed. 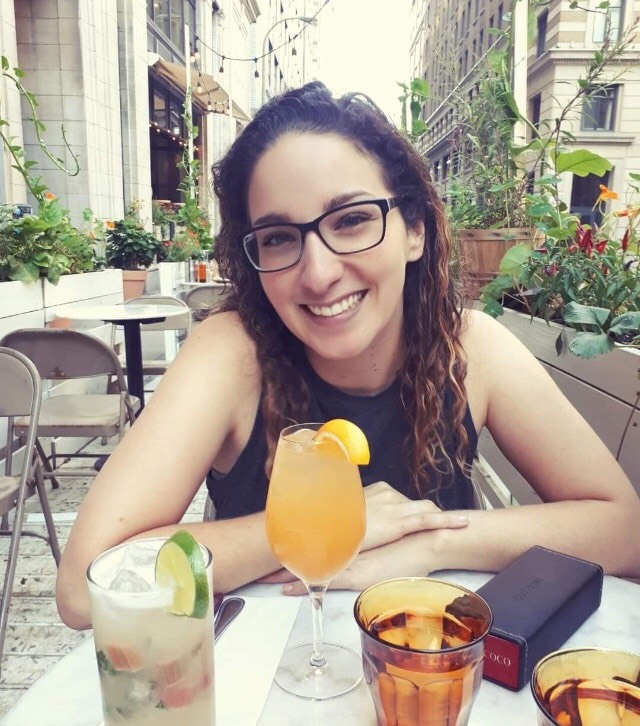 It wasn’t cancerous but this surgery had a lot of risks involved… The tumor was located in a place that affects many things, things that are crucial to our health and wellbeing. It was located near the cerebellum, which is responsible for your balance, posture, coordination, etc. The optic nerve was also affected by it, which is why I’m living with acquired nystagmus today. Nystagmus, as we know, is a visual condition in which the eyes make repetitive, uncontrolled movements. It reduces your vision, and can greatly affect your balance and coordination. Acquired nystagmus can occur later in life and is usually the symptom of another condition, such as stroke, multiple sclerosis, head injury or like in my case, a brain tumor. When I learned that I needed surgery, I thought that I would go back to my routine in no time. But when I woke up from the surgery, which lasted about 10 hours, I knew this would be a totally different story. I had to restart from zero. I had to relearn how to walk, talk, eat, pretty much how to live! I had to go back to my parent’s house, as I was living with my boyfriend at that time. My family and boyfriend were a huge support system for me, as I couldn’t be independent at all. The symptoms of the surgery were pretty intense: nausea, vomiting, headaches, dizziness, vertigo, blurred vision (which resulted as nystagmus a few months after), balance and memory problems, etc. I thought these were all gonna go away after a couple of days or weeks, but little did I know, some of them were here to stay. The first months after my surgery were really blurry to me. I think this part has been deleted from my memory because it was just so bad. I was getting sick a lot, like A LOT. I just remembered trying to eat and getting sick right after. I was living in this vicious circle for months after the surgery. Then, I started to wake up from this circle, this nightmare. Yes, I was still getting sick but I started to be more aware of things that were happening around me, and that’s when the nystagmus appeared. I didn’t understand at first what was happening to me, and that lead to many doctor’s visits. That’s when they confirmed that I had acquired nystagmus, as a result of the surgery. The doctors were trying to improve my vision by prescribing me some medications and prisms for my glasses. I was working as a graphic designer before and the computer was my main tool. I tried going back to work after my surgery, but the nystagmus made it really hard for me to see properly, even though we tried all the magnifying tools there is. With all the other symptoms on top of that, it made it really difficult for me to go back to my usual work, so I am now on long-term disability. All these symptoms got me really depressed at first because I couldn’t see an end to all this. Being sick everyday left me with no energy, just wanting to be in bed every day and isolate myself. I lost many friends throughout this period because the outside world was just too much for me to handle. Don’t ever let someone control your happiness and never be afraid to put your own limits when you need to! Have faith in your journey and be the master of this beautiful wobbly world that we’re living in! 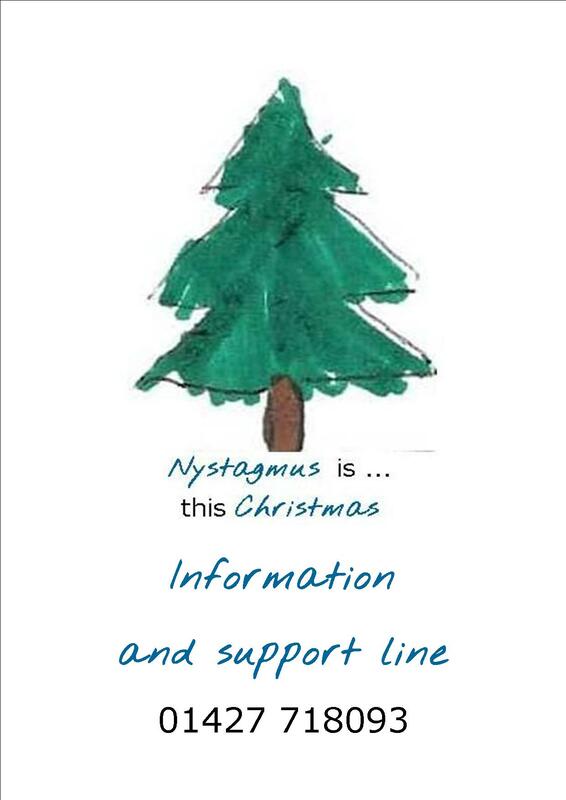 The Nystagmus Network is here to support people with congenital and acquired nystagmus. We hope that Mélissa’s story brings comfort and understanding and we are grateful to her for sharing her experience.